By 1916, just two years after appearing in his first motion picture, Charles Chaplin had become the most famous entertainer in the world. Buoyed by his enormously successful comedies for Keystone and Essanay, he was offered the largest salary ever extended to a motion picture star—$670,000 for a single year’s work—to make twelve two-reel comedies for the Mutual Film Corporation. For Mutual, Chaplin produced what many film historians believe to be his best works. Few artists seminal to a medium leave a detailed history that charts the early evolution of their craft. Although the initial Mutuals have the feel and structure of Chaplin’s earlier, less sophisticated films, the progression of the series to the final four Mutuals is truly inspiring. Viewing the Mutual-Chaplin Specials is comparable to turning a camera on Thomas A. Edison in Menlo Park and capturing unhindered the inventor’s moments of pure inspiration. The thrill in watching nearly all of the Mutuals comes in the Promethean moment when Chaplin’s inventiveness intersects with his genius and produces cinematic comedy sequences unlike any before. The Mutuals are Chaplin’s laboratory, offering an unprecedented glimpse into the inner workings of the mind of a great cinema pioneer. The Mutual Film Corporation created a subsidiary called The Lone Star Corporation solely to make the Chaplin films. 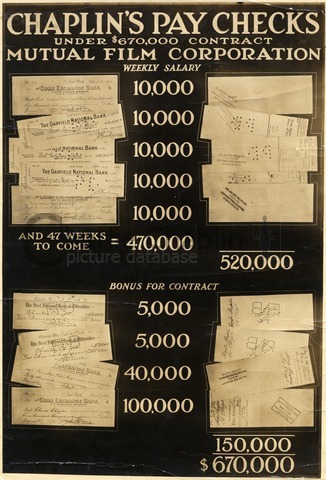 Lone Star paid Chaplin $10,000 a week plus a $150,000 signing bonus for the twelve two-reel comedies. The unprecedented sum would set the standard for the salaries of motion picture stars. Indeed, Mary Pickford, known as “America’s Sweetheart,” did not allow Chaplin’s record-breaking salary to go unchallenged. The company provided Chaplin his own studio, named The Lone Star Studio. 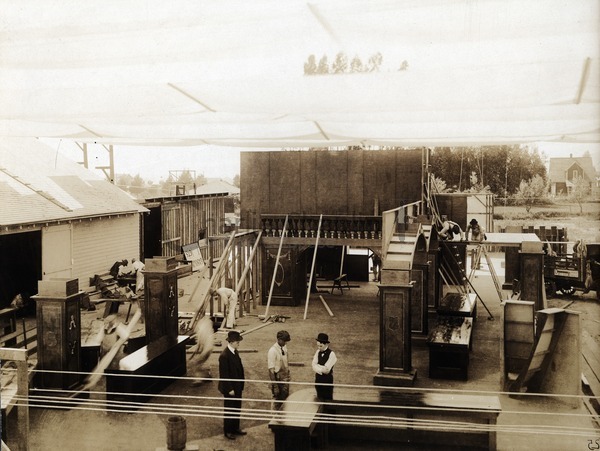 The facility was formerly the Climax Studios, located at 1025 Lillian Way in Hollywood, and later would be used by Buster Keaton to make all his independently produced silent two-reel and feature-length films. Chaplin made approximately one film a month but several required more time, and the series ultimately took eighteen months to complete. Although this may appear to be remarkably swift work, it was a leisurely pace compared to the speed he had been required to maintain at Keystone and Essanay. The press and public were amazed and even skeptical at the amount of Chaplin’s earnings. A Mutual publicist wrote, “Next to the war in Europe Chaplin is the most expensive item in contemporaneous history.” (1) Chaplin was sanguine. “It means that I am left free to be just as funny as I dare,” announced Chaplin, “to do the best work that is in me…There is inspiration in it. I am like an author with a big publisher to give him circulation.” (2) Mutual provided Chaplin the freedom to explore all his comic ideas and to discard anything he believed failed to work on film. Henry P. Caulfield (succeeded by John Jasper in June 1917) produced the Mutual series. Chaplin chose William C. Foster as the first cameraman with Rollie Totheroh as his second (two negatives were made of each shot). Foster left the Lone Star Studio after four films, leaving Totheroh as head cameraman and George C. Zalibra as the second. 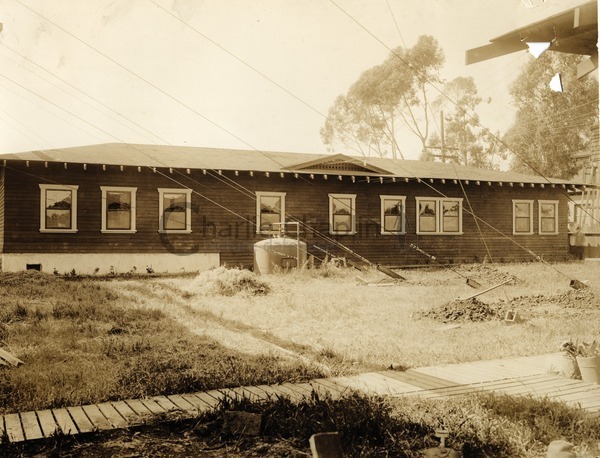 Totheroh trained at Essanay, where he first met Chaplin. (He had played several seasons of minor-league baseball prior to working in films). 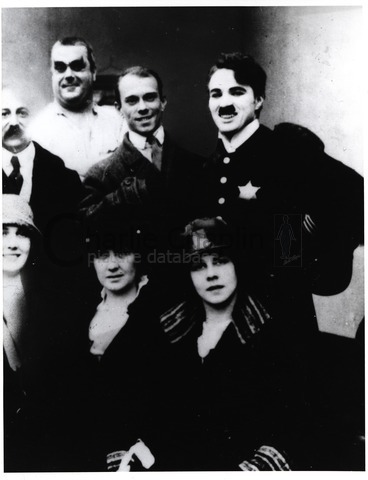 From the Mutual period onward, Totheroh had a lasting professional association with Chaplin. He was cinematographer for every Chaplin film through Modern Times and remained on the Chaplin payroll until 1954. Totheroh’s tolerance of Chaplin’s volatility contributed to their long working relationship. Totheroh’s cinematography has been criticized as unimaginative and static, but his work provided the director exactly what he wanted. Except for an occasional tracking shot in The Vagabond, The Count, Easy Street, and The Cure, the camera remained stationary to match Chaplin’s style of direction, which was intended to foreground his performance. Chaplin refined and altered the action over several takes, but he almost never changed camera position on a set-up. Chaplin ordered Totheroh to film the action at an eye-level, full-figure distance or, for a medium shot, at a waist-high-figure distance, depending on what the scene demanded. Close-ups were seldom filmed. Similarly, Chaplin’s lighting was also basic, without any tricks or attempt at mood. His rudimentary approach to camera placement and lighting was a conscious decision to remain focused on the actors and to leave the performance area accessible for improvisation at all times. Moreover, complicated camera set-ups required time. When the mercurial Chaplin was ready to act, he did not want to be waiting on technicians. From his first film to his last, Chaplin remained a man of the theater, and his primary concern was to convey to the audience the action and the emotion of a scene through the performances of his actors, not through innovative or elaborate photography, lighting, or editing. Chaplin’s method of filmmaking departed from that of most silent-film directors. First of all, he disliked filming on location and avoided it whenever he could, preferring the controlled conditions of his studio, which allowed him to insert scenes days or weeks later and have them match the master scenes. Moreover, Chaplin took too long to film anything substantial on location. In the silent era, just as today, every shot was given a separate number. Silent filmmakers did not utilize a clapperboard, which is useful for synchronizing action and sound, but a simple slate board to mark the scenes. Chaplin’s unorthodox system was to mark each take in chronological order rather than to assign a number to each scene. Eschewing formal scripts, Chaplin devised ideas for scenes in advance and had them typed up as notes. Often, however, inspiration would strike him on a set and there would be no time to have the notes typed. By any standard, Chaplin’s directing style, perfected during the filming of the Mutuals and employed throughout the rest of his career, was unique in the cinema. He simply acted out the parts of all the actors as he wished them to be played, down to the slightest gesture of the hand or movement of the eyebrow. Chaplin and his cast would be in full costume and make-up while he rehearsed scenes and refined ideas over and over again on film. This directorial style was considered eccentric even in 1916, and the time he lavished on his films was the envy of every filmmaker. Yet for Chaplin, a laser-like concentration on performance and perfection to the exclusion of all else was his unyielding obsession, even until the end of his career. He didn’t have a script at the time, didn’t have a script girl or anything like that, and he never checked whether the scene was in its right place or that continuity was followed. The script would develop as it went along. A lot of times after we saw the dailies the next morning, if it didn’t warrant what he thought the expectation was, he’d put in some sort of a sequence and work on that instead of going through with what he started out to do. We never had a continuity. He’d have an idea and he’d build up. He had sort of a synopsis laid out in his mind but nothing on paper. He’d talk it over and come in and do a sequence. In a lot of his old pictures, he’d make that separation by using titles about the time: “next day” or “the following day” or “that night”–these would cover the script gaps in between. Charlie would rehearse them. He’d rehearse everybody and even in silents, we had dialogue. It came to a little woman’s part, and he’d go out there and he’d play it. He’d change his voice and he’d be in the character that he wanted the little old woman to play. He’d build their lines up and rehearse them, even before he rehearsed himself in it. He rehearsed so many darn different ways with them that when he came in there, it’d be changed all around with what he put down. You had to be on the alert for him. I never got away from the camera, looking through that lens. And all those rehearsals, I sat right there, watching every move he made. Then if he came along and something spontaneous hit him, you had to be ready there to take it and get it. As a director, Mr. Chaplin didn’t have anything to say as far as exposures, things like that. Otherwise, I used to say, “Take a look through here.” The idea of that was that if he was directing, he’d have to know the field that I was taking in. Of course, in the early days, the role of the cameraman was much bigger than it is now. It was up to the cameraman to decide what angle to shoot for lighting; or outside, which is the best angle on a building or whatever it is. Then you have to figure what time of the day it would be better to shoot that shot, whether you want back-light or cross-light or whatever on your set. I had to keep the set pretty well lit. You couldn’t under light and get some nice shadows. No, Charlie wanted to look like a clown. He wanted that pretty near white face. And you had to watch out; you couldn’t have shadow over here or back of you because you never knew where he was going to work. You had to watch out and keep your eye out all the time. Chaplin created his own comedic sequences, although he was assisted on the Mutuals by a capable scenario staff. Vincent Bryan, a writer of vaudeville sketches and songs who had worked with Chaplin at Essanay, was chief scenario editor. Maverick Terrell was also engaged to assist Chaplin develop his ideas. As Terry Ramsaye wrote, “He surrounds himself with these interesting and gifted persons, not to have them do his work for him, but to supply gravel for his mental gizzard.” (8) Albert Austin also contributed comedy ideas, as did Chaplin’s elder half brother Sydney. 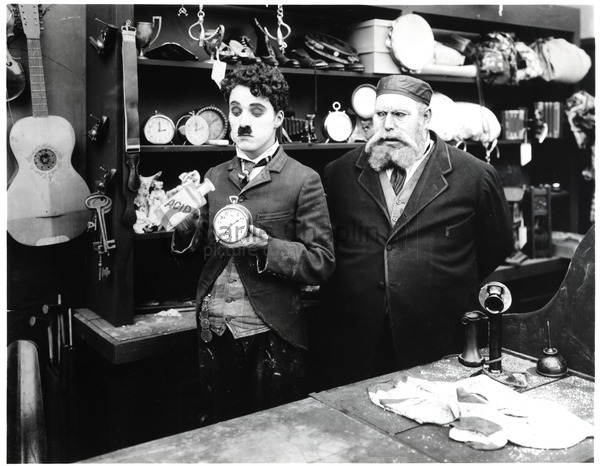 Evidence from outtakes of films such as The Pawnshop shows that Chaplin also trusted Sydney to assist him in direction. Chaplin, who suffered from insomnia during this period of his life, also began to use a phonographic dictating machine by his bedside to record any comedy idea that occurred to him, a practice that would remain with him for many years. Although Chaplin directed his actors as if he were playing every part, he wanted an excellent ensemble of performers. He engaged Edna Purviance, his leading lady from Essanay, for effective underplaying to complement his own performances. Eric Campbell, who stood six feet four inches and weighed nearly 300 pounds, was engaged to be the “heavy” (Chaplin, by comparison, stood five feet six and one half inches and weighed 125 pounds during this period). 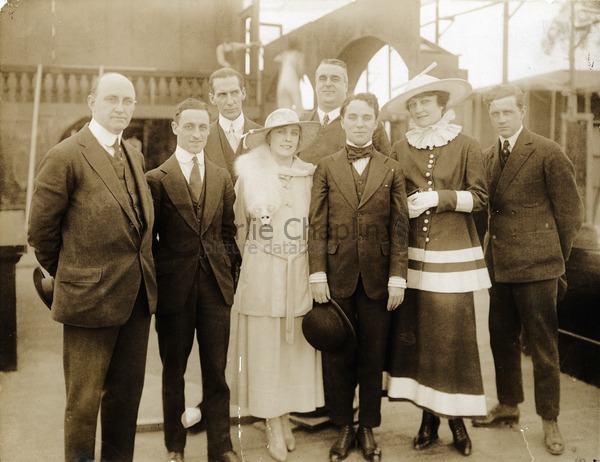 Campbell had worked for Karno, where he had first met Chaplin, and was playing on Broadway in Pom Pom at the Cohan Theatre when Sydney Chaplin saw him during a visit to New York in 1916 to negotiate his brother’s contract with Mutual. Shortly thereafter, Chaplin asked Campbell to sign an agreement with Lone Star. A shy, gentle man in real life, the hulking Campbell was the perfect Goliath for Chaplin’s David. Yet the association between the two men, although immortal in film comedy, was short-lived. The last film in the Mutual series, The Adventurer, was Campbell’s last screen appearance. Campbell was killed instantly in a car accident on December 20, 1917, in Los Angeles at the age of thirty-seven. Others in the Chaplin company were Karno alumni Albert Austin and John Rand, as well as character actors Leo White and Henry Bergman. Chaplin also hired Charlotte Mineau to portray mature and female “heavy” roles and Lloyd Bacon to play young men (Bacon later became a successful film director). Of course, Chaplin’s ensemble was merely support for his own protagonist in each film. Chaplin departs from the Tramp costume in several of the Mutuals. He portrays a firefighter in The Fireman, a drunken man-about-town in evening clothes in One A.M., a drunk sporting a boater hat in The Cure, a police officer in Easy Street, and a prisoner in uniform and later disguised in evening clothes in The Adventurer. Chaplin’s willingness to try new ideas and approaches in these films is apparent in their unyielding inventiveness, further evidence of the freedom Mutual had given him to experiment and his own confidence in his range as an actor. The Mutuals progressively demonstrate greater character development, cinematic technique, and more unified narrative structures. Specific locations or props, around which Chaplin builds his story and the gags that flow from it, become important characters themselves in the films. 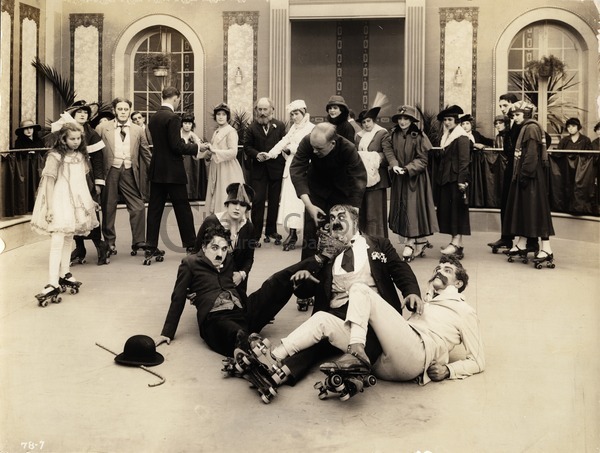 Whether an escalator in The Floorwalker, a fire station in The Fireman, a film studio in Behind the Screen, a pawnshop in The Pawn Shop, a roller-skating rink in The Rink, the dilapidated T-shaped street in Easy Street, the sets play pivotal roles in their respective films. Throughout the Mutuals, Chaplin displays his unparalleled ability to combine brilliant, spontaneous improvisation with precise timing. He appears able to do anything—roller skate, slide down a fire the pole, climb the side of a cliff—with superhuman ease, dexterity, and grace. Chaplin infuses the Mutual films with moments of spontaneous pirouettes and androgynous behavior, and even not-so-veiled references to homosexuality. Perhaps Chaplin had such a fondness for the Mutuals because, in many ways, the films serve as a foundation for all that would follow in Chaplin’s remarkable career. 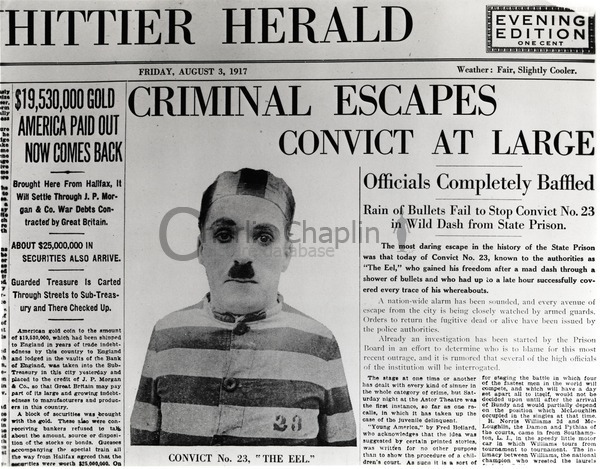 Chaplin’s prior films, although wonderful in their time, failed to ignite the cinematic alchemy that would come to be called “Chaplinesque”—the blending of comedy, pathos, and social commentary into a single narrative whole, as seen in The Vagabond, Easy Street, and The Immigrant and in all of Chaplin’s best films thereafter. No other filmmaker had consistently injected this combination of elements with such an exquisite level of skill into a comedy film. The Mutual films are extraordinary because they represent the only period in Chaplin’s career during which he allowed himself to revel in rather than to revile the creative process, to tinker in his comedic laboratory, resulting in some of the finest work of his career. A testament to the enduring quality of the Mutuals is not only that others appropriated sequences from the films (including Chaplin’s contemporaries Harold Lloyd and Buster Keaton, and later comedians such as the Marx Brothers), but that Chaplin himself often borrowed liberally from the Mutuals in his later, more sophisticated films. Perhaps he had great fondness for the Mutuals simply for the same reason that generations of audiences have as well—because of the sheer joy, comic inventiveness, and hilarity of this extraordinary series of films. Terry Ramsaye in Reel Life, the Mutual Film Corporation’s publicity magazine, March 4, 1916. “Chaplin Signs with Mutual,” Moving Picture World 27, no. 10 (March 11, 1916). Charles Chaplin, My Autobiography (London, 1964), p. 162. Richard Roud, “The Baggy-Trousered Philanthropist,” The Guardian, December 28, 1977, p. 3. Lady Chaplin to David Robinson, in David Robinson, Chaplin: His Life and Art (London, 2001), xix and p. 664. Chaplin’s working method was explored in the three-part documentary Unknown Chaplin (1983). Roland Totheroh, “Roland H. Totheroh Interviewed: Chaplin Films,” in Timothy J. Lyons, ed., Film Culture 53-55 (spring 1972), p. 239-241. Terry Ramsaye, “Chaplin—and How He Does It,” Photoplay 22, no. 4 (September 1917), p. 22. Minnie Maddern Fiske, “The Art of Charles Chaplin,” Harper’s Weekly 62 (May 6, 1916), p. 494. Eliot, quoted in Gilbert Seldes, The Seven Lively Arts (New York, 1924), p. 361. Gilbert Seldes, Movies for Millions (London, 1937), p. 37. Chaplin, My Autobiography, p. 222. Chaplin, “Does the Public Know What It Wants?,” Adelphi 1, no. 8 (January 1924), p. 705. Chaplin vividly recalled the letter fifty years later in 1 1966 interview with Richard Meryman. Theodore Huff, Charlie Chaplin (New York, 1951), p. 71. Four hundred twenty-three reels (approximately seventy hours) of Chaplin outtakes, filmed visitors to the studio, and tests—most from the Mutual-Chaplin Specials—have been preserved by the BFI National Archive. Chaplin, “What People Laugh At,” American Magazine 86 (November 1918), p. 136. Harvey O’Higgins, “Charlie Chaplin’s Art,” The New Republic 10, no. 118 (February 3, 1917), p. 17. Walter Kerr, The Silent Clowns (New York, 1975), p. 95. Sergei M. Eisenstein, “Charlie the Kid,” Sight and Sound 15, no 57 (spring 1946), p. 14. Chaplin, My Trip Abroad (New York, 1922), p. 22. Chaplin, My Autobiography, p. 202. Chaplin, “What People Laugh At,” p. 136. Carlyle T. Robinson, La verité sur Charlie Chaplin: sa vie, ses amours, ses déboirs, translated by René Lulu (Paris, 1935), p. 18. Julian Johnston, “The Shadow Stage” (review of The Immigrant), Photoplay 12, no. 4 (September 1917), p. 99-100. Chaplin, My Autobiography, p. 225. Chaplin, My Life in Pictures (London, 1974), p. 150. Chaplin, “What People Laugh At,” p. 134. Sydney Chaplin in an interview with Jeffrey Vance, 1998 and corroborated by Jerry Epstein, in an interview with Jeffrey Vance, 1991.